Ezra Nanes speaks at a kickoff event on April 4 for his state Senate campaign. Democratic state Senate candidate Ezra Nanes held a kickoff event this week for his campaign in the 34th District. Nanes, a State College resident and the only Democrat seeking election in the race, will challenge incumbent and Senate Majority Leader Jake Corman, R-Benner Township, for the seat representing all of Centre, Juniata and Mifflin counties and part of Huntingdon County. Corman is seeking his sixth term, having first been elected in 1998. In March, Nanes gathered more than 2,000 signatures to get on the ballot. At Wednesday's campaign kickoff at Schlow Centre Region Library, Nanes, who is director of business development at AccuWeather, discussed his priorities and said it's time for a change in Harrisburg. "This campaign is 100 percent fueled by a grassroots movement that is fed up with the status quo and ready to set Harrisburg on the right course," Nanes said. 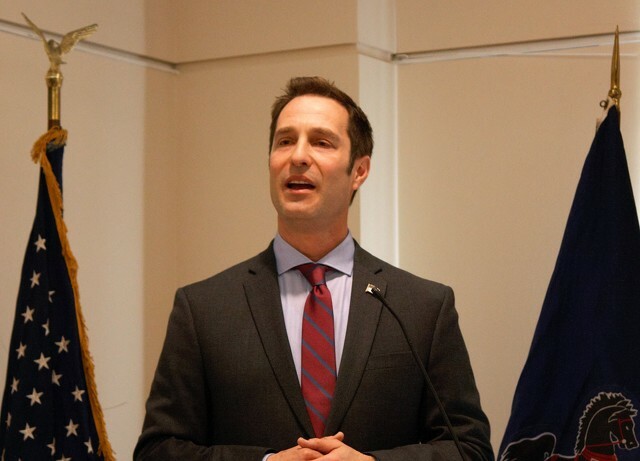 His priorities include public education, economic development, responsible governance, and environment stewardship. Nanes said the state needs greater investment in public schools, from kindergarten through college for both students and teachers. He said those investments should include pre-kindergarten, career and technical training and making college education more accessible. "With the right investments, and reforms in current public education spending for charter schools, we can train a workforce ready to tackle the challenges of the 21st century economy," he said. Protecting and preserving the environment is a matter of pragmatism, he said, and the state also must do more to develop clean energy. "It is critical that we develop our clean energy economy -- particularly wind and solar power -- where there is strong job growth, good jobs that stay put, and where we can save money by being more efficient," he said. Nanes added that he wants to increase the state's minimum wage to $12 an hour as a start. He said the state needs to invest in rebuilding infrastructure, expanding broadband internet access, and supporting farmers, rural communities and small businesses. Following the kickoff event, Nanes launched a "Firehall Tour" to meet with voters throughout the district. State College Mayor Don Hahn and Centre County Commissioners Mark Higgins and Michael Pipe were among those in attendance at the kickoff event. 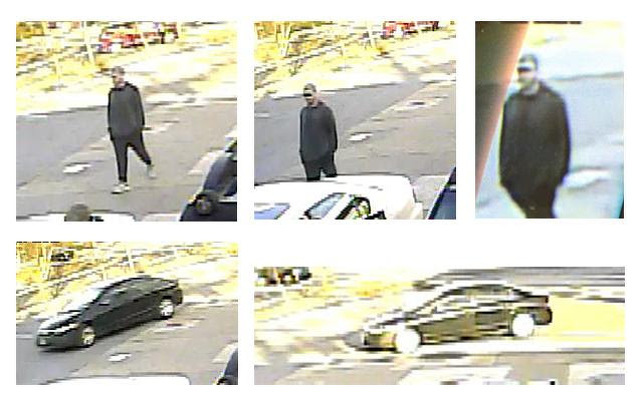 Ferguson Township police are investigating the theft of a vehicle from the parking lot of Uni-Mart, 315 W. Aaron Dr.